Mikael Karlsson, Fredrik Flyberg and Johan Lundqvist, the box-owners of CrossFit Norrort, are giving us a little insight into what happens at their BOX! Enjoy another episode of our Europewide BOX interviews. Found crossfit.com by “accident” on internet, got courious and started to trying it out. In the beginning we just needed somewhere to train. Then it grew on us and we wanted to coach and get other people to try CrossFit. I don´t know if it stands out from others but we are trying to evolve and get better all the time. We really focusing on the basics and the technique in all the movements. We have a rather small box but that also makes it very special. We are like a big family. Maybe 60/40 Male/Female and most members are between 20-45 years old. We have a few competitive athletes. You will taking part in our regular classes and the trainers will scale down the movements if necessary . 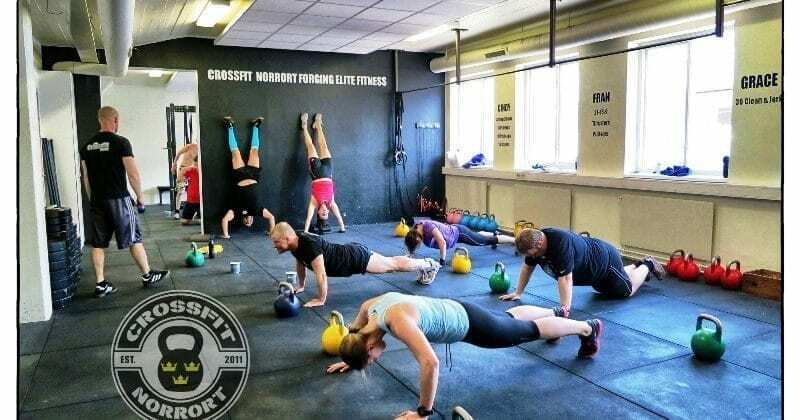 We also have WOD Basic classes.